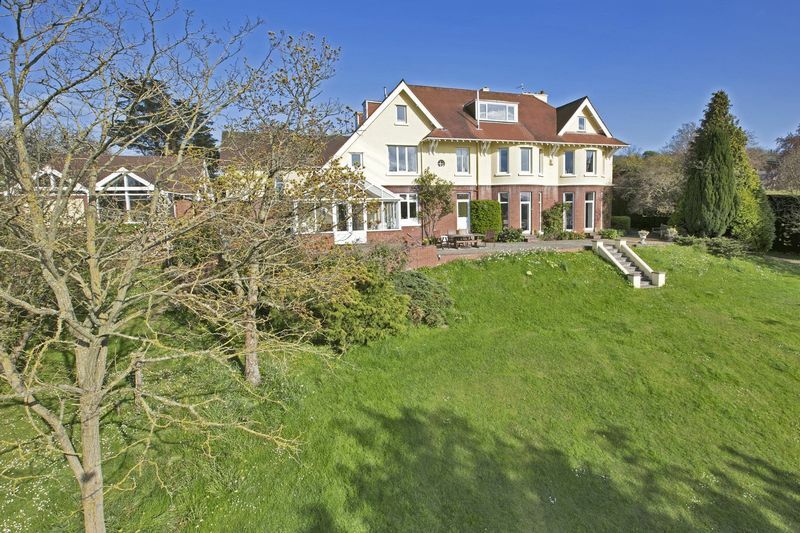 An imposing Edwardian residence situated on a sizeable, private plot, offering remarkably spacious and light rooms, charming period features such as high ceilings, floor to ceiling windows and decorative wall & ceiling mouldings. 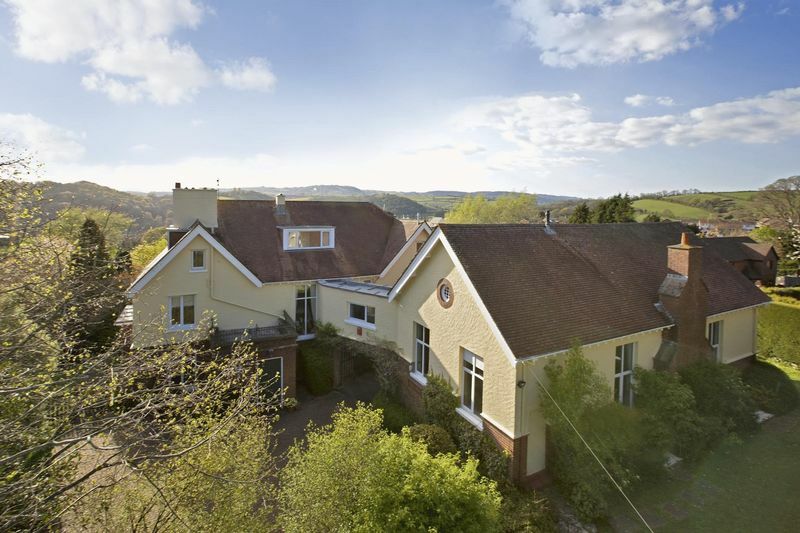 The property offers four double bedrooms, all with en-suites, a two bedroom self contained flat (which could be incorporated into the main house) four reception rooms, an impressive reception hall with a cantilevered staircase to a gallery landing, a cellar, stunning kitchen and a conservatory. 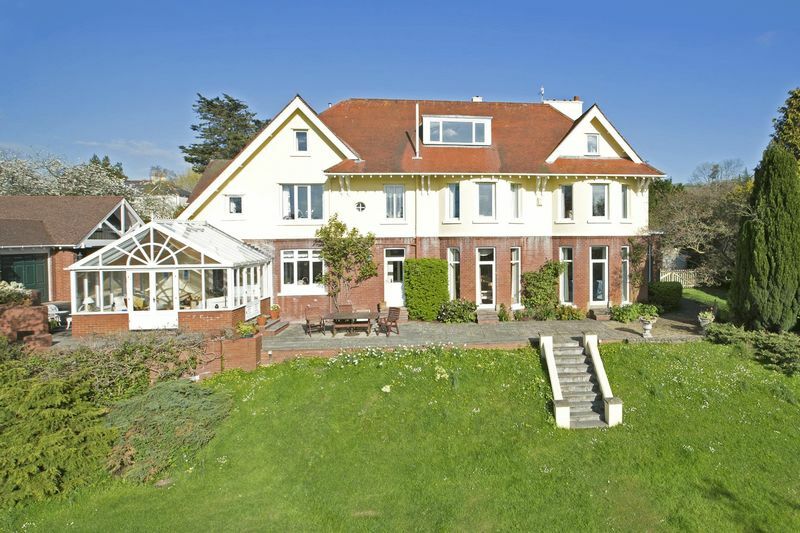 There is also a games room of approx 1000 sq ft (formerly a swimming pool) a tennis court, paddock and ample garaging. Chudleigh is a small town between Exeter and Newton Abbot, close to the edge of Dartmoor National Park and in the popular Teign Valley. Dartmoor National Park is best known for it's striking granite tors, steep wooded river valleys and heather covered moorland. 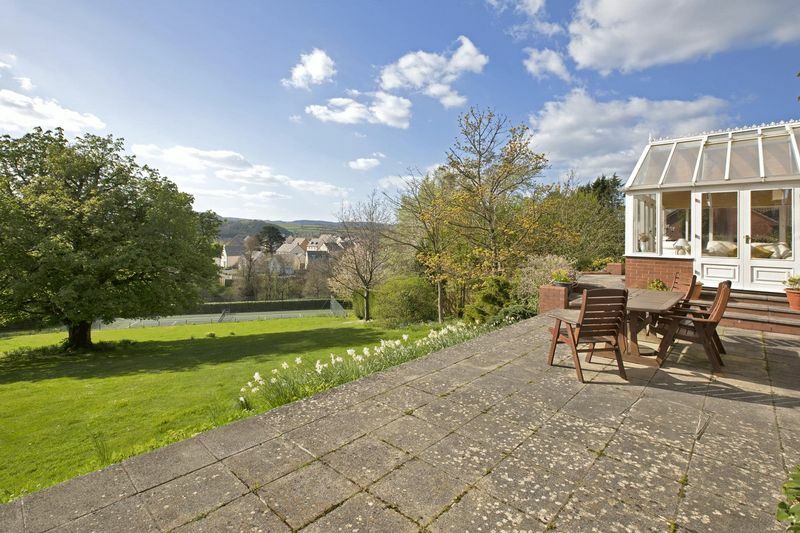 Offering a wide selection of recreational opportunities such as walking, cycling, riding and fishing on the River Dart. Many of the region's finest beaches are within easy driving distance. The well regarded Chudleigh Primary School is located in the town along with regular bus services. 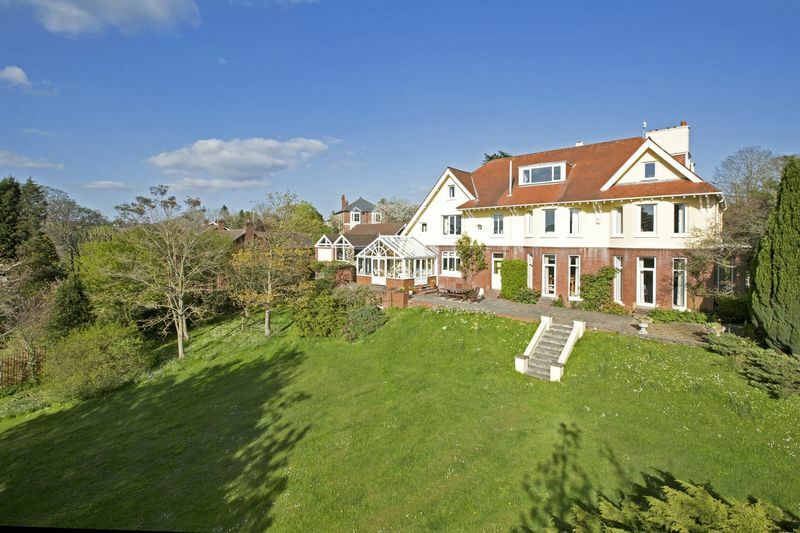 For secondary schools you have the popular Teign School in Kingsteignton. 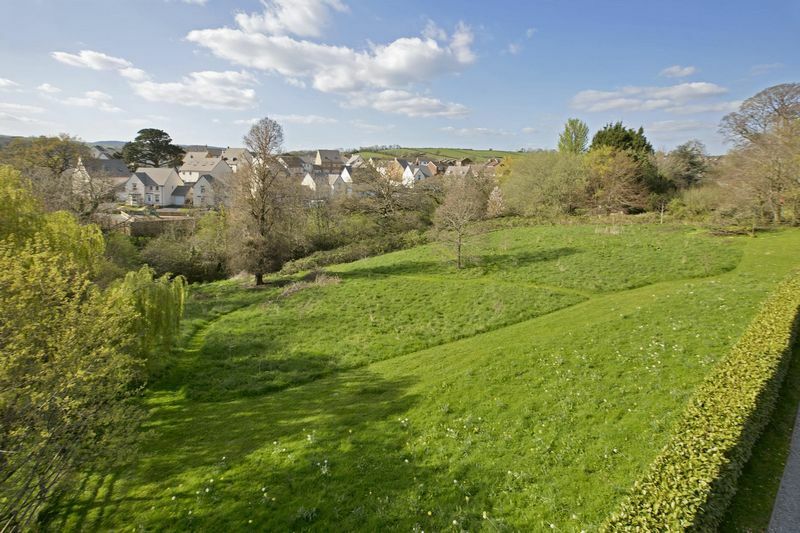 Chudleigh offers a wealth of local amenities including shops, a cricket field, a swimming pool, football pitches, allotments, parks, two doctors surgeries, a dentist and a library. For larger shops, there are supermarkets in Kingsteignton, Newton Abbot and Exeter. The market town of Newton Abbot has a mainline railway station with direct links to London Paddington, along with Exeter St Davids Station. There is also an international airport in Exeter. The A38 (Devon Expressway) which by-passes the town provides good access to Plymouth, Exeter and the M5 motorway network. The A380 connects Torbay. 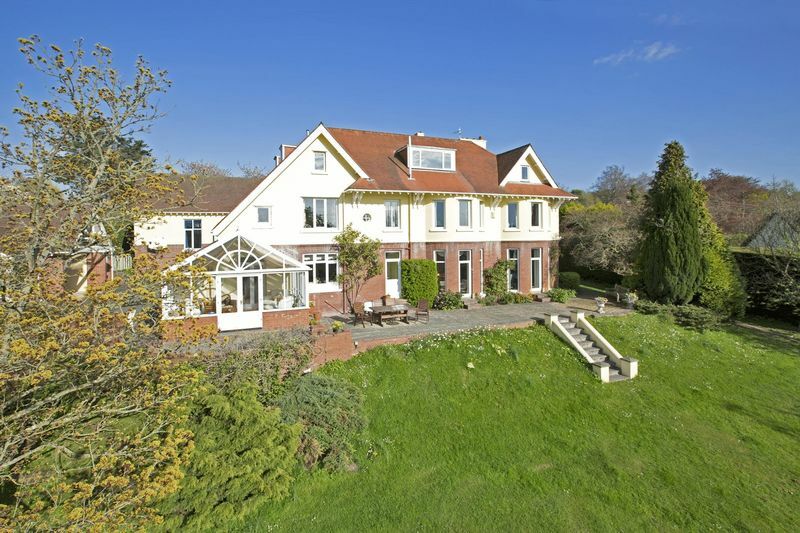 The property is accessed through a towering front door opening into a sizeable porch with a Victorian tiled floor, which leads into an impressive reception hall with majestic high ceilings and a feature cantilevered staircase which rises to the first floor. 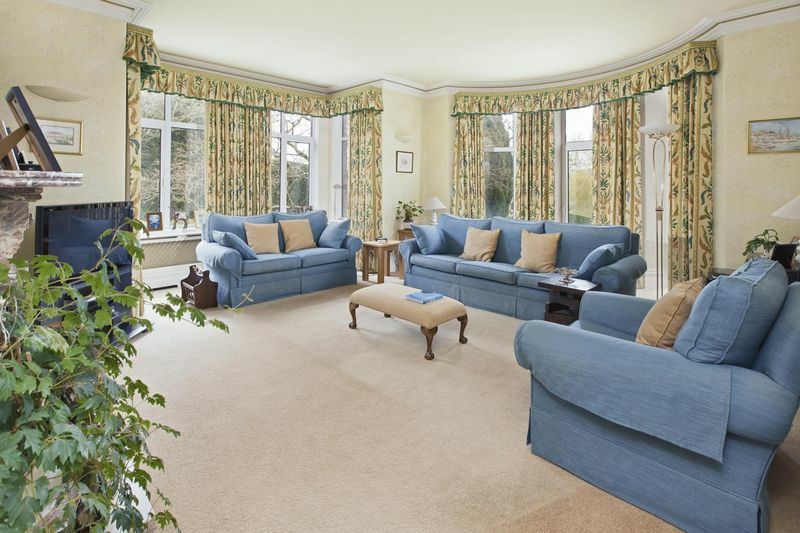 The well-proportioned living room has a large square bay window overlooking the side aspect and a large floor to ceiling bay window overlooking the beautiful rear garden. 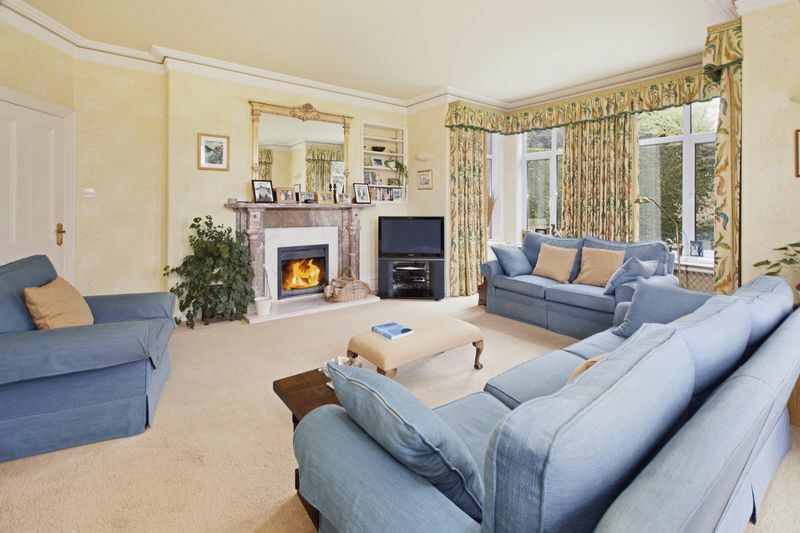 A grand marble fireplace with open fire creates a wonderful focal point to this elegant room. 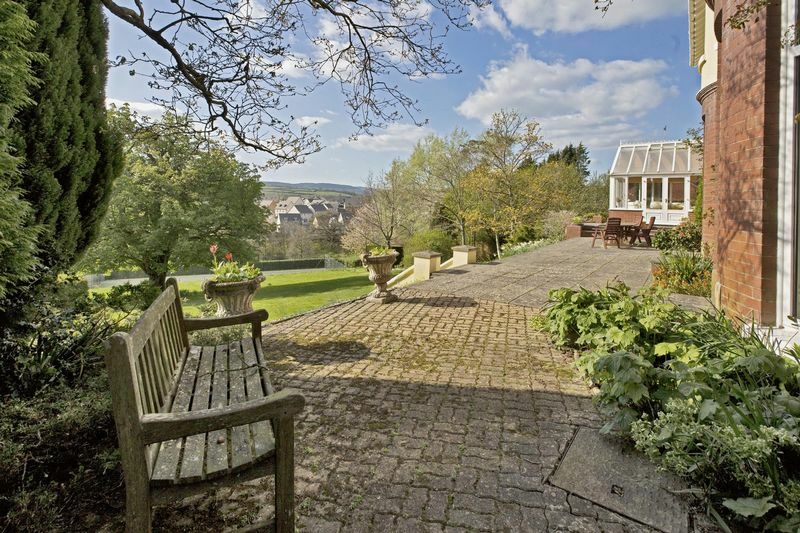 A door leads out onto a paved sun terrace, a perfect spot for summer entertaining. 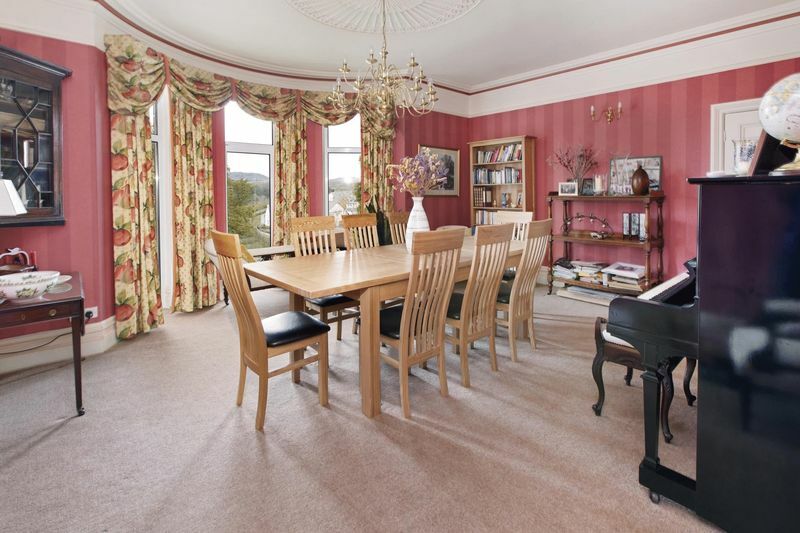 The formal dining room with floor to ceiling windows overlooking the garden has plenty of space for a large dining table and chairs. The dining room is accessed via the hall and via a second door to the inner hall leading to the kitchen, an ideal room for entertaining! 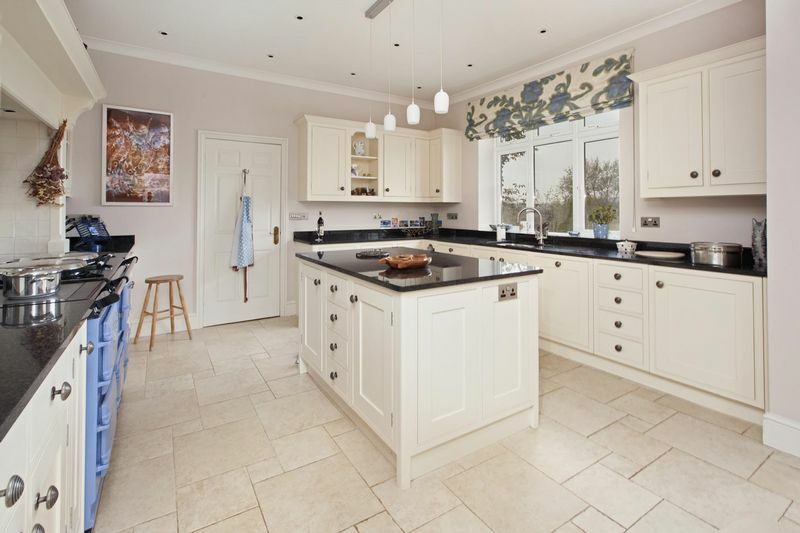 Another impressive room in this substantial house is the light, modern kitchen with a range of handmade, hand painted units and a luxury four oven Aga. 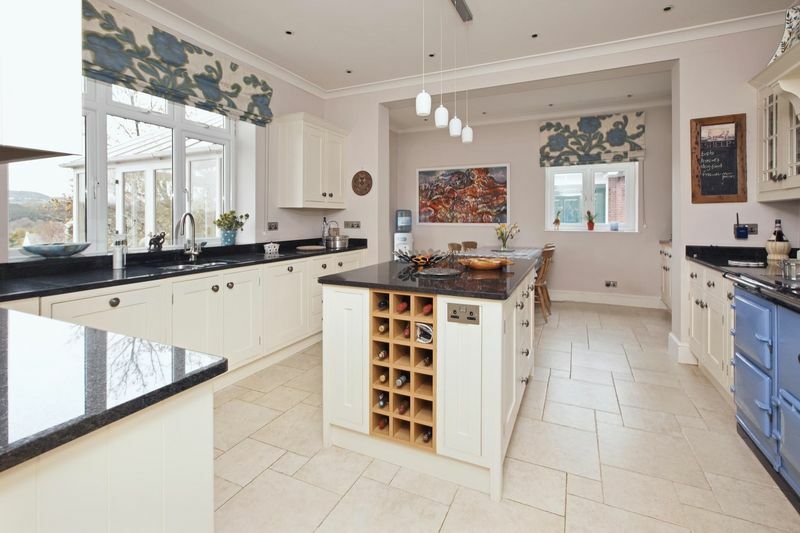 There is an abundance of granite worktop space for a keen cook and an island unit with further storage space and a useful wine rack. 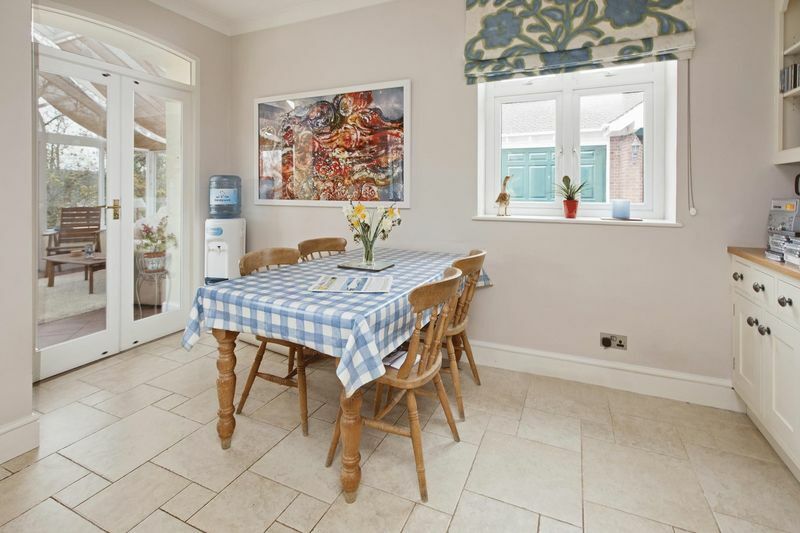 The kitchen enjoys views of the garden and the bonus of underfloor heating. 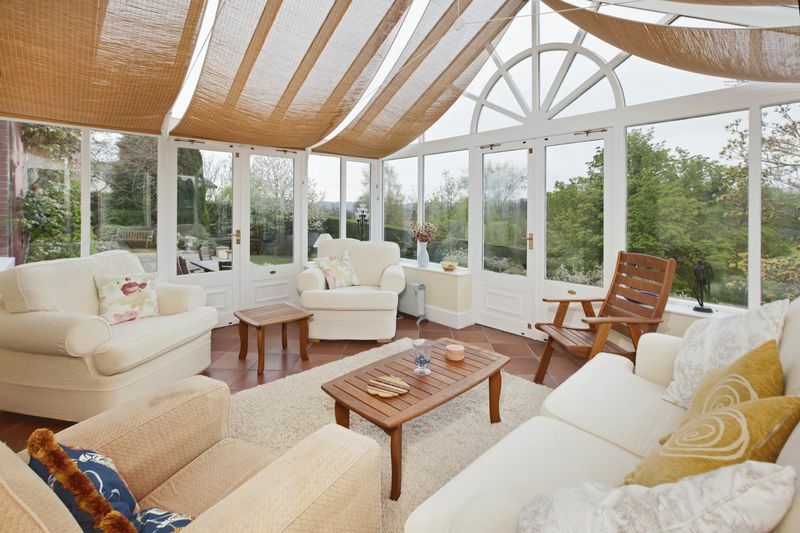 Leading off the kitchen is a large, comfortable conservatory, well situated to enjoy the views of the garden, tennis court and countryside beyond. 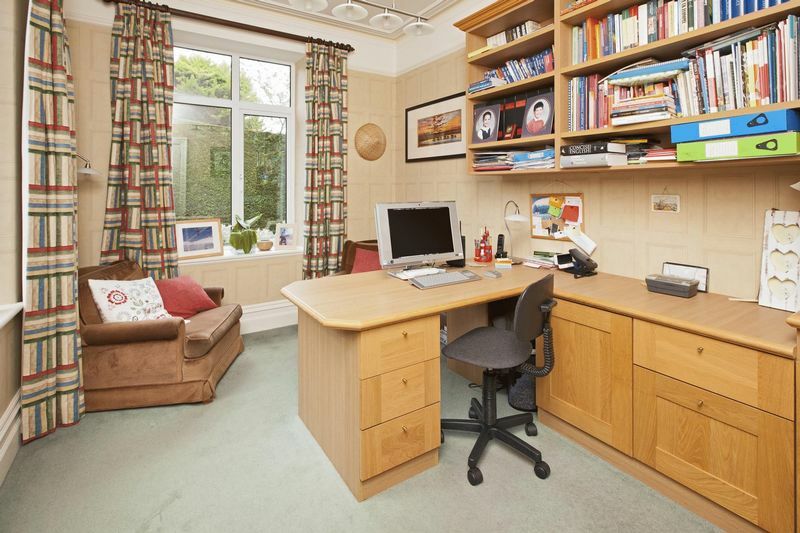 There is a study on the ground floor which is of a good size with a built-in desk and cupboards. 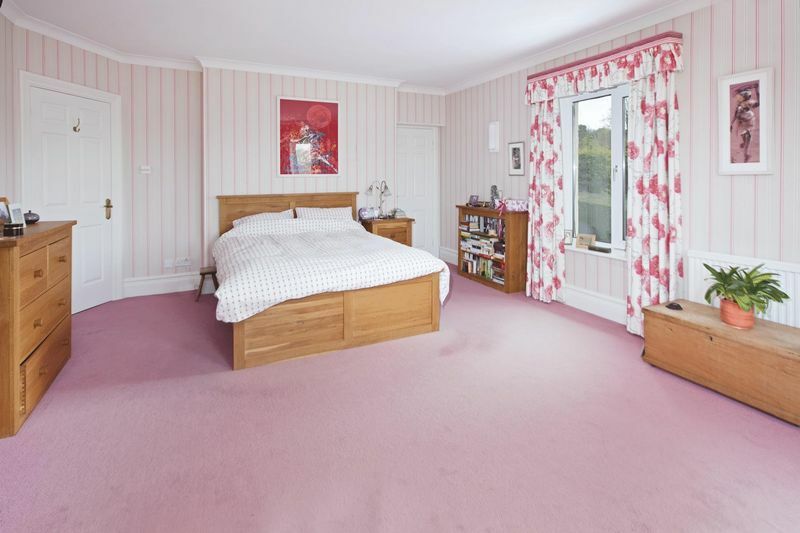 This room could easily be used for a variety of other uses such as a music room or hobby room. The remaining doors from the reception hall lead to a cloakroom, an airing cupboard, access to the cellar (an ideal wine store!) and the staircase to the 2nd floor apartment plus door to outside. In addition, the ground floor accommodation includes a utility room, a second study or snug, a wood store, a useful boot room and a door to the courtyard parking and garaging. There is also a return door to the kitchen. 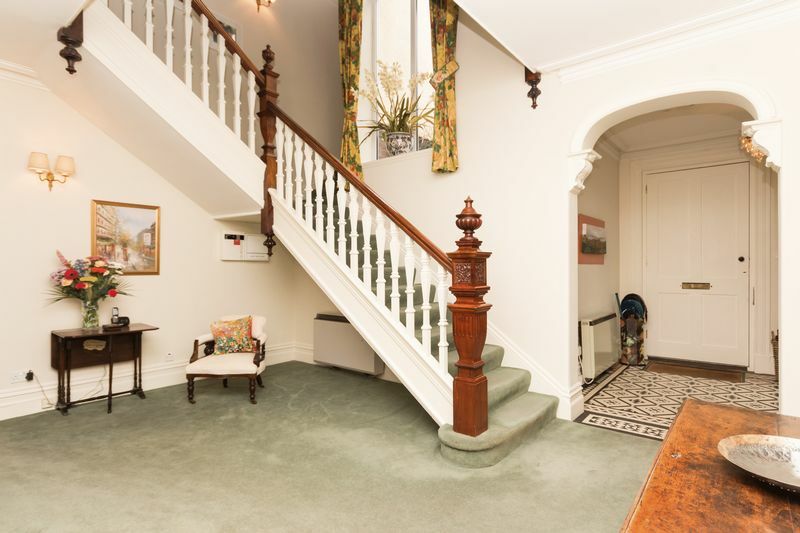 The imposing staircase leads to a half landing with a door to the elevated passageway leading to the games room. 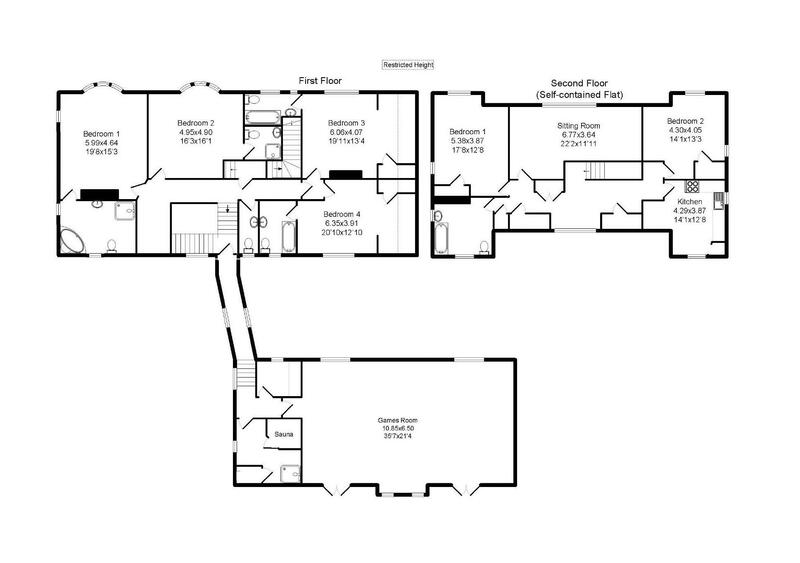 Continuing onto the main gallery landing, which has a window overlooking the front of the property, there is access to four well- proportioned, light and airy double bedrooms, all of impressive dimensions, all en-suite! 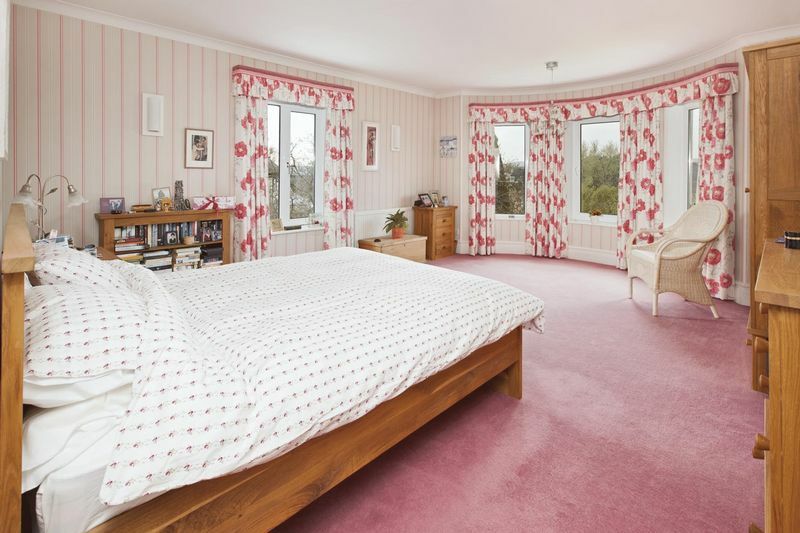 The master bedroom overlooks the rear garden through an impressive bay window, plus a further side window allowing for ample light and access to the views! The en-suite bathroom is a very generous size with a corner bath, shower cubicle, WC and basin. 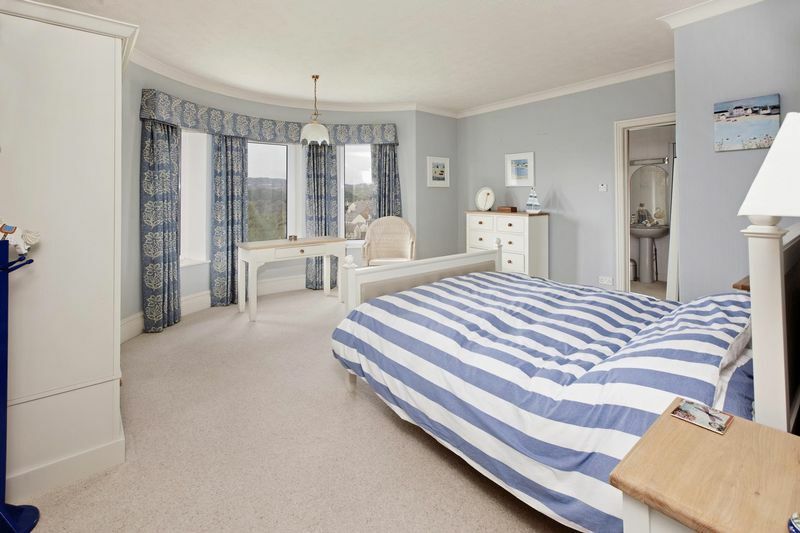 The second bedroom also has a bay window overlooking the garden, tennis court and paddock beyond. 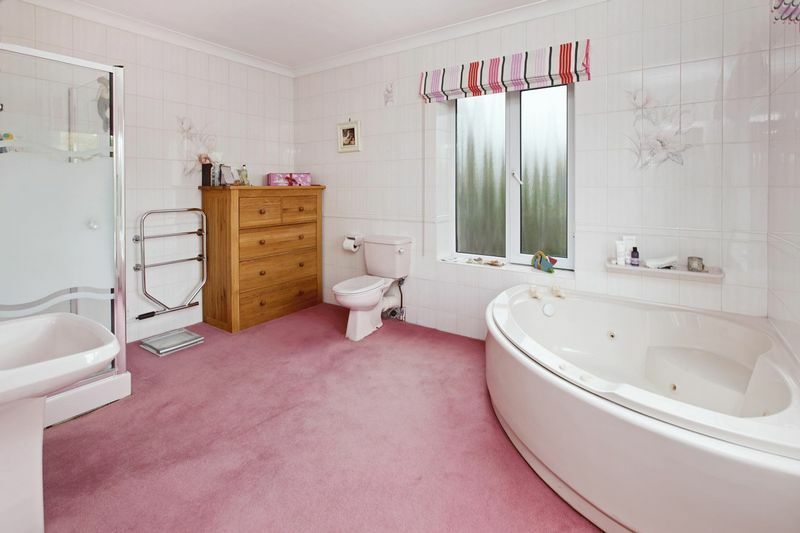 The en-suite has a shower unit, WC and basin. 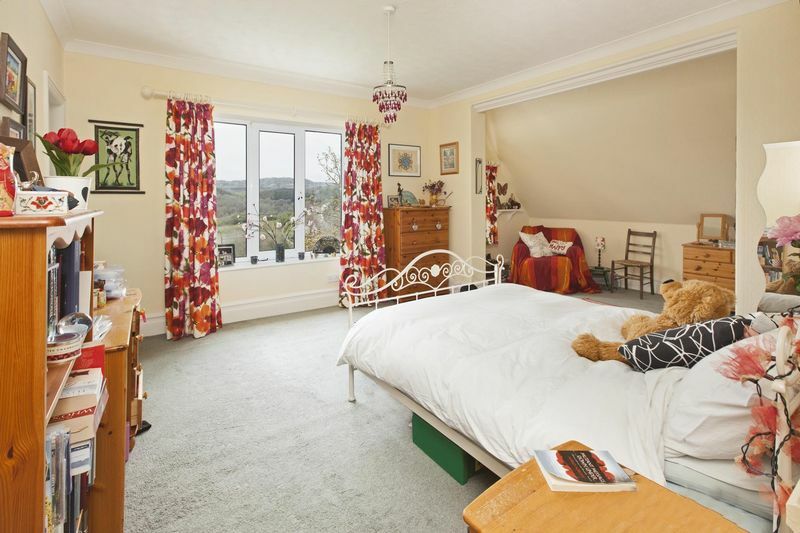 Bedroom three again enjoys views over the garden and is an impressive size as well as bedroom four and both have fitted wardrobes and en-suite bathrooms. A bridged walkway runs above the driveway to the games room. There is a changing room with a sauna, shower cubicle and WC. 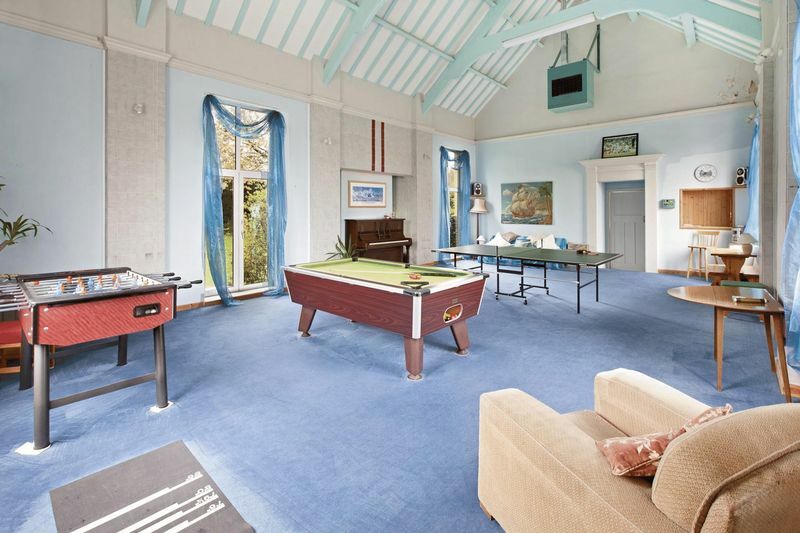 The games room itself, an enormous room, has an incredibly high ceiling, double aspect windows, an industrial heating system and doors to a side garden. 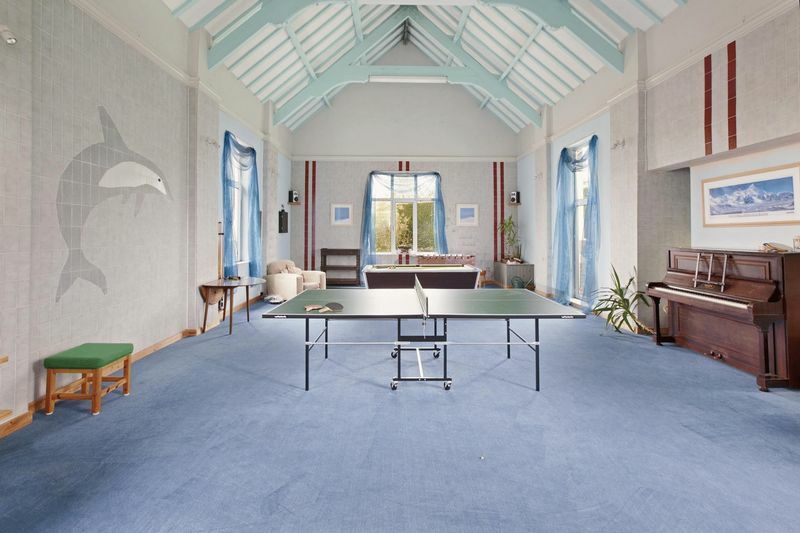 Formally a swimming pool (which we understand is still under the floor), this room has a great deal of space and possible development potential. A hatch leads through to the kitchenette. On the second floor of the main house, the property has a useful self-contained, two-bedroom apartment with its own sitting room, bathroom and kitchen. 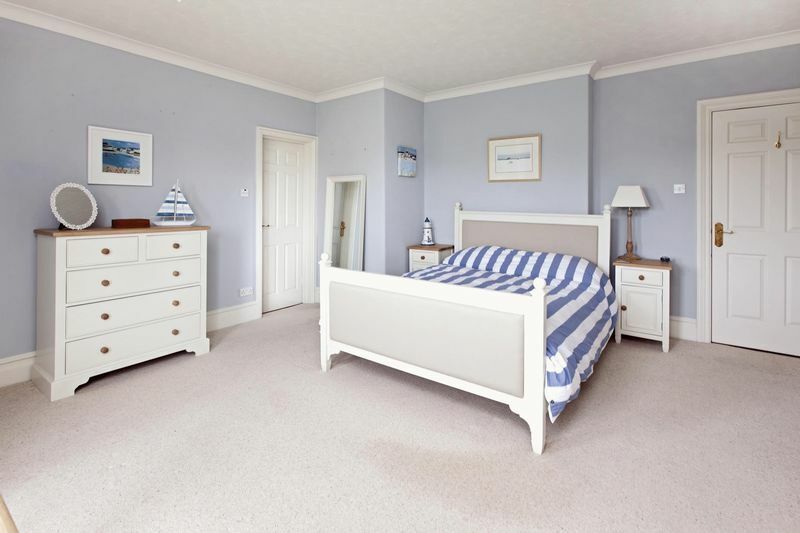 There is plenty of light and ample storage with some rooms having some restricted head height. 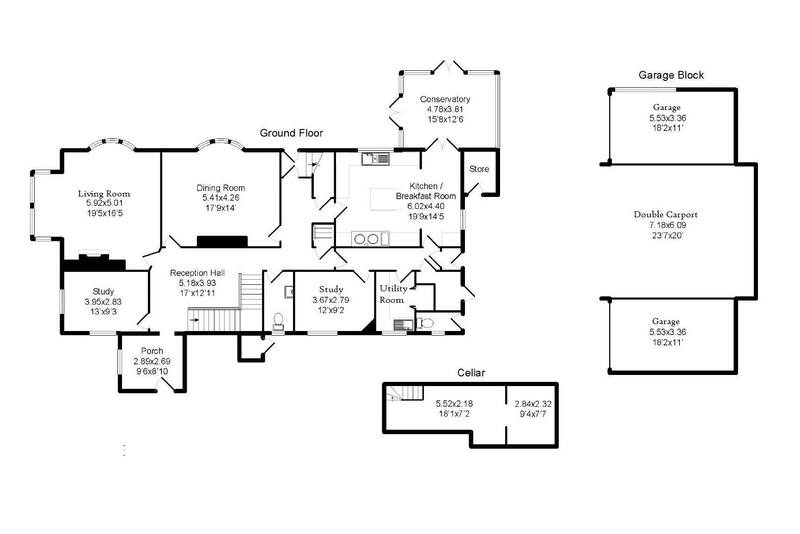 The second floor accommodation could be reverted back to incorporate into the main house accommodation. To the front of the property is a driveway with parking and turning space. Continuing to the side of the property is a double car port with two single garages to either side. Attached to the side of the house is an outside WC, a store cupboard and a door to the wood store. 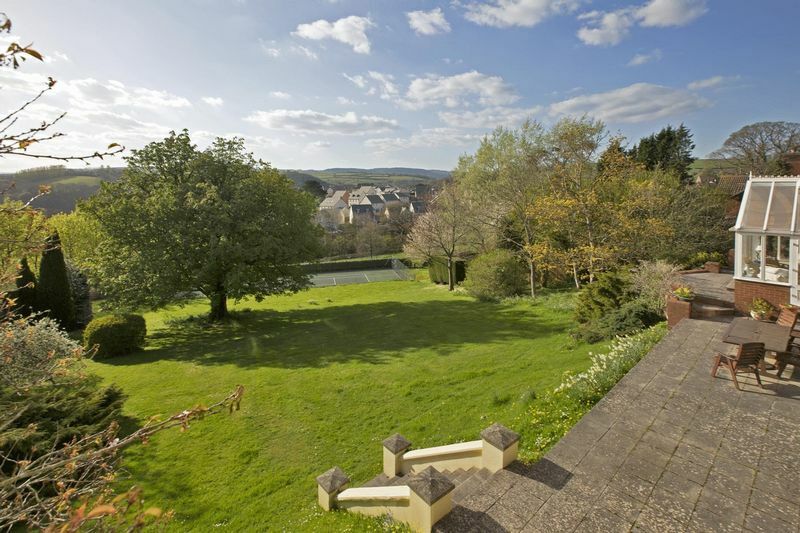 Adjacent to the house is a paved terrace South West facing, extending the width of the property overlooking the garden and view, an ideal area for enjoying the afternoon/evening sun. Steps lead down through the sloping lawn to the fenced tennis court. 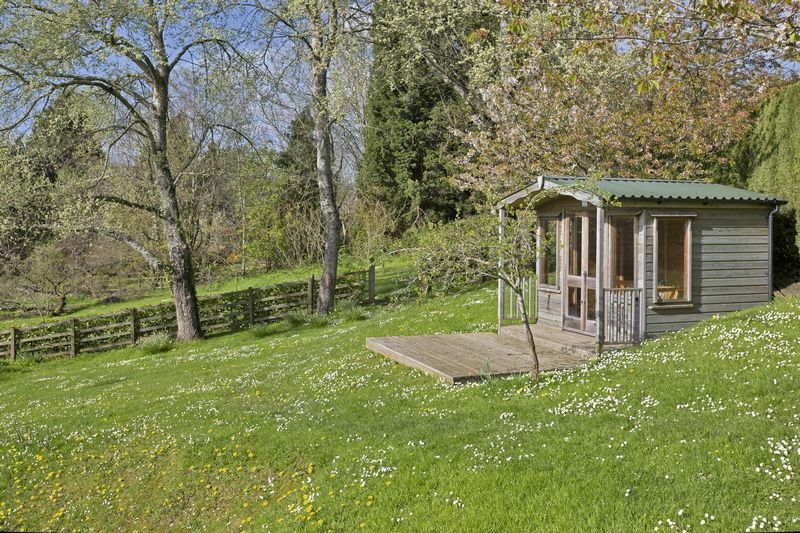 A summer house is ideally positioned to enjoy the views of the grounds and the court. 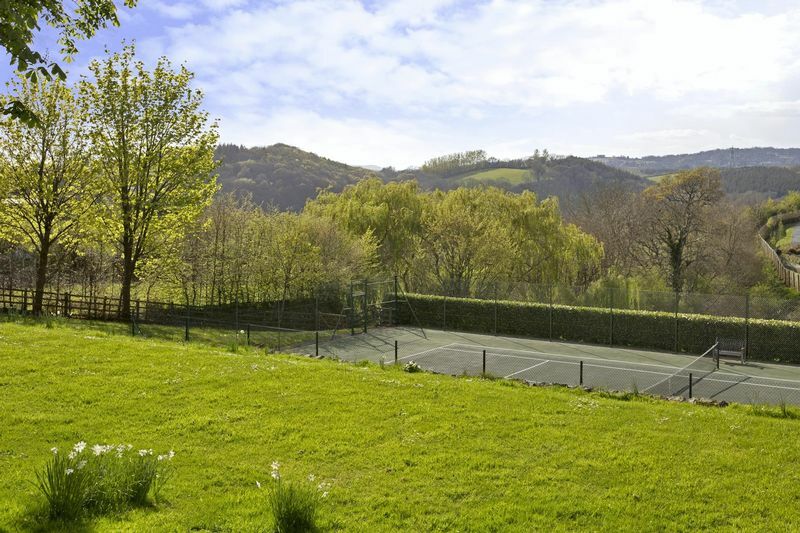 Beyond a mature hedge which runs along the length of the tennis court is the paddock. 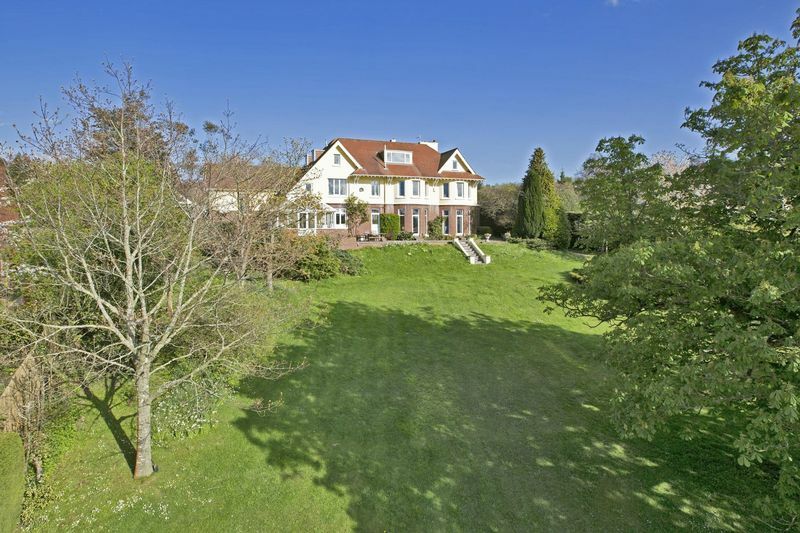 The total grounds attached to this impressive property amount to approximately 2.6 acres. 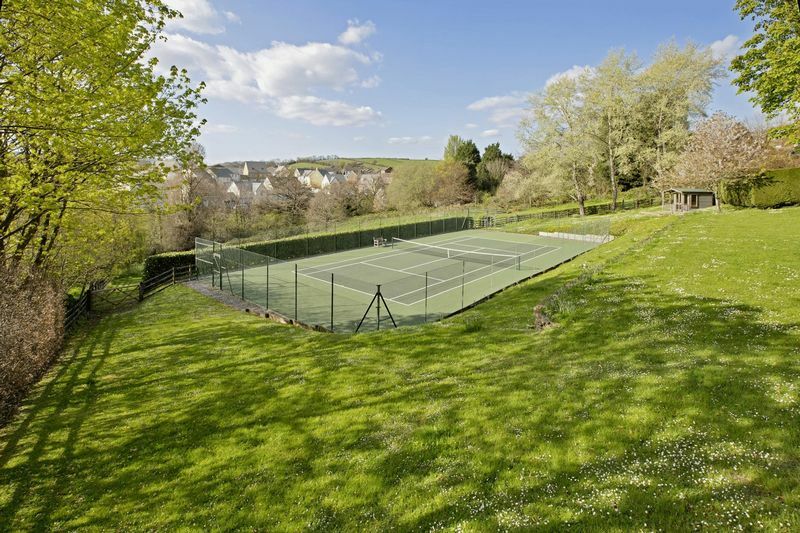 The paddock and tennis court have a historic uplift clause of 50% of the value if planning permission is granted.